There is no greater sucker for a pat on the back from his Muslim backers in Qatar, where he’s hosted and presented with 30 pieces of silver for his “activism”. Here in Australia, he’s become a constant nuisance and an embarrassment for everyone. It certainly helps, when aiming to become Australia’s prime virtue signaller, if you have at your disposal an actual virtue signal. 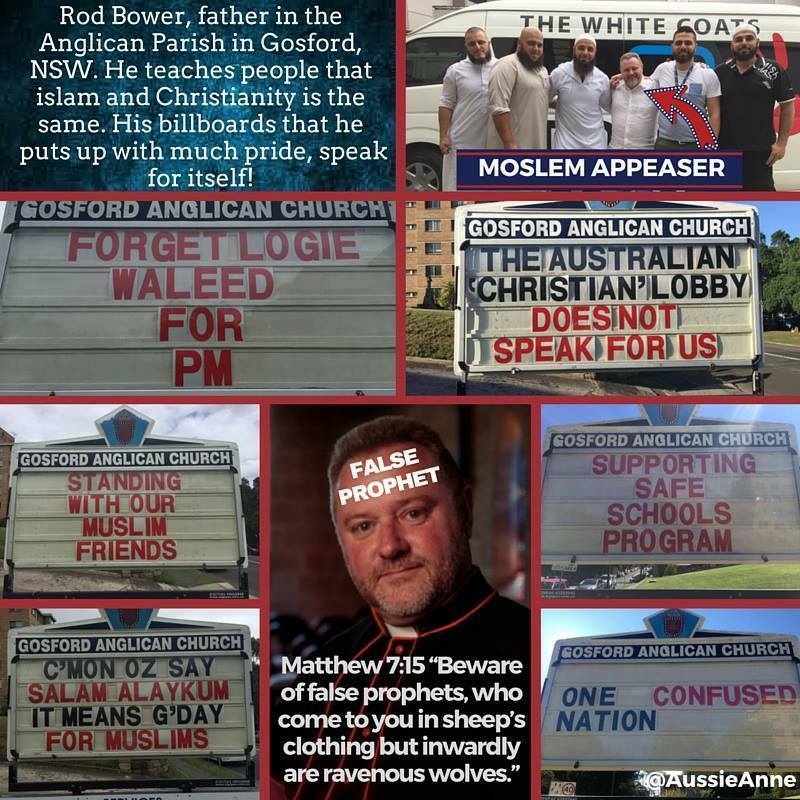 That’s what Father Rod Bower has established outside his little Anglican Church in Gosford, north of Sydney. The left’s favourite God-botherer uses the building’s standard church noticeboard as a broadcasting beacon for every dopey leftist piety you can imagine. You name the issue and Godly Rod has thrown up something reflexively smug and superior about it on his personal signal of virtue. “Bless the burqa”, “Jesus had 2 dads and he turned out OK”, “We seem to have forgotten all about climate change”, “Supporting Safe Schools program”, and so on. It’s basically a drive-by guide to predictable social justice commentary for people without enough time to read the Guardian. It will be particularly hard to exceed the embarrassment of items #1 (see here and here) and #2 (see here and here). Did CNN hit rock bottom in 2018? Or can it degenerate still further? 2019 will tell. Previous PostMelbournistan: just “right-wing nationalists” clashing with “anti-racism protesters”Next Post“We’ll always have Paris…” Right? … and requires to be treated as a Traitor Subversive and Seditionist should be treated !! !